Grunau's Driving without Distractions Policy | Grunau Company, Inc.
Driving while distracted has become a very dangerous problem on our roadways. Grunau is committed to protecting our employees and others from these risks so has implemented a Driving without Distractions policy. 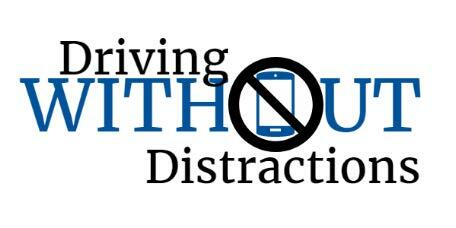 Distracted driving has become an increasing concern that affects all of us. Each day in the United States, approximately 9 people are killed and more than 1,000 injured due to crashes involving distracted drivers. We owe it to our families, friends, coworkers, and the general public to change behaviors to eliminate this risk. To help ease people into changing their behavior, Grunau’s policy contains two increments. The first step, effective 2/01/2018, is implementing a Hands-Free-Only cell phone use while driving policy. If drivers have a Bluetooth device, its use will be permitted for the first 6 months of 2018. However Grunau strongly encourages putting the phone down. The first 6 months of 2018 will be an opportunity to challenge each other to identify best practices to eliminate distracted driving. The new iPhone update provides a voluntary “do not disturb” function that can be used to block calls while driving. A free app called EverDrive, is also available and you can compete against others for best driving / phone score. Grunau encourages everyone to try these tools to help change your behavior and put the phone down. Then beginning 7/01/2018, Grunau will have a Zero use policy for using electronic devices while driving. With this change, technology will be used on company phones to block calls and most apps, with the exception of mapping and music apps. Grunau’s Safety Committee is currently trying a phone app and some hardware options for monitoring and implementing this policy. This Driving without Distractions policy pertains to all company related travel and while using company-owned electronic devices. Grunau, along with parent company APi Group, is on the Commitment to Zero journey, which includes eliminating incidents on the roadway. Grunau asks that you discuss the driving while distracted risks with your friends and family and have them commit to eliminate distracted driving as well. It is the right thing to do.